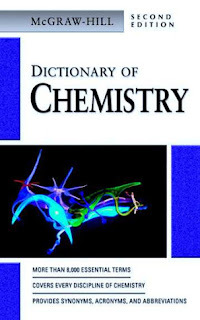 The McGraw-Hill Dictionary of Chemistry provides a compendium of 8000 term that are central to chemistry and related fields of science and technology. The coverage in this Second Edition is focused on the the areas of analytical chemisty, general chemistry, inorganic chemistry, organic chemistry, physical chemistry, and spectroscopy, with new terms added and others revised as necessary. Chemistry deals with the composition, properties, and structure of matter. Its various branches analyze composition and properties, and study the changes that occur in matter, the underlying processes, the energetics of these processes, and the rates at which they occur. Thus, the terms contained in this Dictionary may be used in virtually all areas of science, for example, biochemistry, geochemistry, and cosmochemistry, and in many areas of technology.